On the other hand, cities keep expanding and the animal territory keeps getting smaller. Some species are overwhelming others, sources of food are getting rare. But not everything is bleak in the animal kingdom: evolution is quite the crazy thing, and some of the species that were considered the most dangerous have adapted to humans and society in general. In the wild, these predators hunt for survival. But what happens when the cities take over the forests and these animals run out of prey? There’s quite a problem right now with bears and wolves in northern America and Russia. Bears have taken to raiding garbage bins in search of food, and recordings of such happenings are more and more common. They’re usually extremely shy animals that will run away at the sight or sound of humans, but they’ve had to overcome their timid attitude to attract sympathy from humans from which they get food – directly or indirectly. A polar bear in Russia goes up to a family’s window asking for food. Bears that aren’t strong enough to survive in the wilderness or simply don’t have enough resources to survive will pick up this behaviour often and the species as a whole is starting to shift into two different species: the « wild » bear that we all know, and the « social » bear that relies on humans for food. Bears are loners. What about animals that live in packs and can’t separate from their kin? The behavior of wolves has not changed for the most part, and they still attack other wild animals. 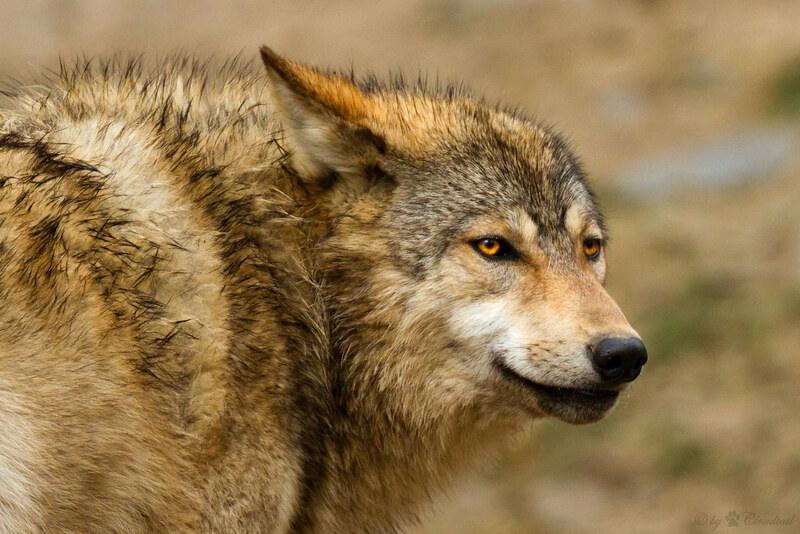 They sometimes attack flocks of sheep and even dogs or cats, but that remains a rare occurrence, as wolves would rather stay far away from humans. There are a few exceptions though: as generations of wolves and dogs evolve, the social side of wolves is starting to show. The story of Romeo the wolf is a good example. Several years ago, In Juno (Alaska) Nick James’s dog was faced with a wolf. Nick thought his dog was as good as dead, but to his surprise, the wolf actually started playing with the dog, and progressively became friends with other dogs of the neighborhood and even humans. « « Dangerous » » animals are not the only ones affected by the growth of cities though. More discreet untamed animals still roam among us. Squirrels, foxes, and birds being the bulk of all species that can live somewhat harmoniously along humans whilst retaining their wild state. Squirrels and crows have actually devised simple ways of breaking open nutshells. They drop them under the wheels of cars, then fetch the now opened nut. Some animals also return to the wild after being tamed. The American city of Detroit is currently ridden with wild dogs that were abandoned by their owners. The dogs now wander the streets looking for food. In Dublin, if you wander around Phoenix Park, you might stumble upon a few deer. If you come up to them slowly and offer them food, they’ll probably stay still long enough for you to snap a few pictures! Remember, the wild life is rare and it’s our duty to protect it. So make sure to hide your garbage away from critters, and leave some healthy food here and there if you can!